Jack Linchuan Qiu is a Professor at the School of Journalism and Communication, the Chinese University of Hong Kong, where he serves as deputy director of the C-Centre (Centre for Chinese Media and Comparative Communication Research). 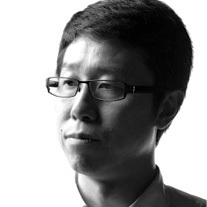 His publications include World’s Factory in the Information Era 信息时代的世界工厂 (Guangxi Normal University Press, 2013),Working-Class Network Society (MIT Press, 2009),Mobile Communication and Society (co-authored, MIT Press, 2006), some of which have been translated into German, French, Spanish, Portugese, and Korean. He is on the editorial boards of 10 international academic journals, including six indexed in the SSCI, and is Associate Editor for Journal of Communication. He also works with grassroots NGOs and provides consultancy services for international organizations.